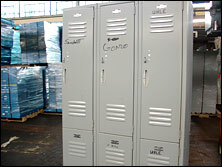 We specialize in second hand storage systems and material handling equipment. Founded in 1939, A&A Surplus Inc is also one of the nation's leading distributors of new and used warehouse rack, pallet rack, and storage rack as well as industrial steel shelving and warehouse equipment. 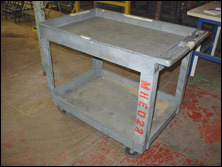 For all your new and used material handling equipment including industrial shelving, warehouse, pallet and storage rack needs, choose A&A Surplus Inc. Our extensive inventory changes on a daily basis. We have over 15 acres of used equipment. 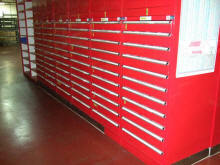 Call or email to see if we have what you need or to request our catalog. When you buy from A&A Surplus, you get over 50 years of experience in the business of buying and selling quality used and new equipment. 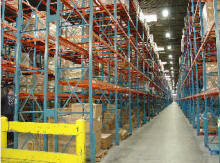 Our national network of dealers keep our warehouse well stocked so you can be sure of getting what you need - fast! 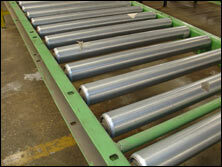 A&A Surplus will also broker or consign any surplus or unusual equipment you may have. 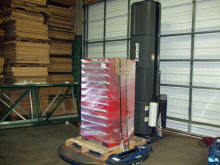 Our network of over 10,000 customers allows us to move almost any type of equipment you may have or are looking for. 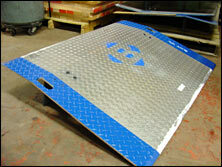 We offer you design and layout assistance, installation, and easy pick up at our clean, modern warehouse. Our seasoned staff is eager to serve. So, if you are hunting for a good value in quality used equipment, or you would like us to take a look at your used equipment - give us a call - we're here for you. 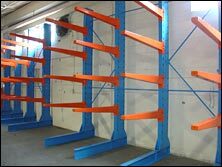 A&A Surplus Inc. is North America's leading selective rack, teardrop, pallet flow, cantilever and second hand Pallet Racking dealer. Save 30-80% on new and used warehouse pallet rack systems, second hand racks, pallet rack beams, uprights and other material handling equipment. 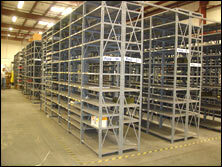 A&A Surplus Inc. maintains the nation's largest new and used pallet racking, selective warehouse racks, teardrop racks, pallet flow, rack beams/uprights and second hand pallet racking inventory, including top brands like Interlake, Frazier, Republic, Sturdi, Unarco, Ridge U-Rak, Hi-Line, Speedrack pallet rack systems. 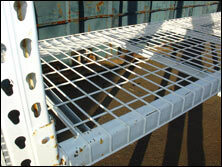 A&A Surplus Inc. also stocks an impressive inventory of wire mesh decks, cantilever racks and conveyors. A&A Surplus Inc. is headquartered in Plantsville, CT.